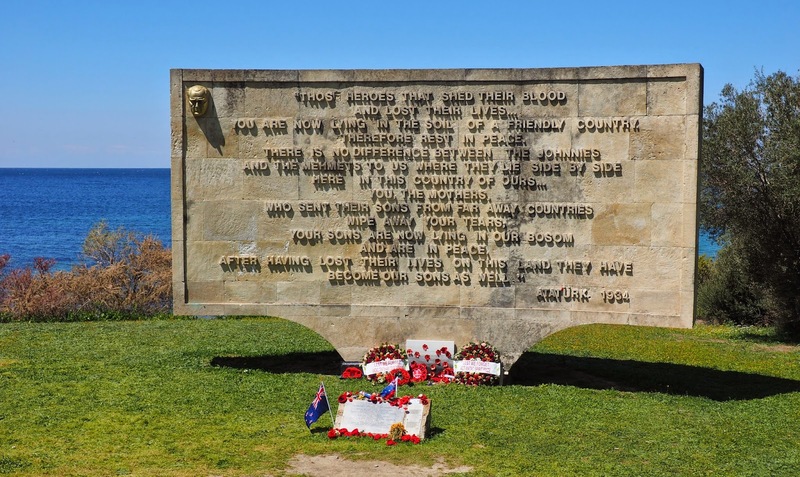 There are 16 Kiwis on our Insight Vacations tour of Turkey, and 23 Aussies, and most of us have family connections with the Gallipoli campaign. Fathers, uncles, grandfathers and less straightforward relationships - my aunt's uncle, what's the name for that? - came here, fought, were wounded, died. Or returned home never to speak of it again, or to live a life warped by the experience. It's been fascinating, learning the stories. It's also distracted us from the fatigue of what's been a very long day. Up at 5am, we drove out of Istanbul (eventually - it's a big city) and down the peninsula past naval ships cruising the Dardanelles. 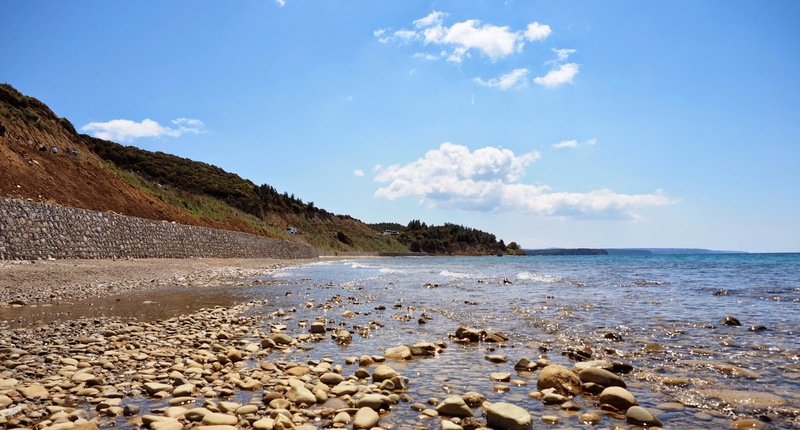 Since there will be 10,500 people at Gallipoli on Anzac Day, today's plan was to see what we were able to before the swarms descend - well done Insight Vacations and Bargin in particular, for being so flexible. And though there were scores of coaches doing the same thing, squeezing along the narrow road, we saw what we wanted to, and I'm satisfied. Ataturk's moving message is here at this cemetery site, one of 31 maintained, immaculately as ever, by the Commonwealth War Graves Commission, the lines of stones brightened by flags and poppies, many of them crocheted in wool. 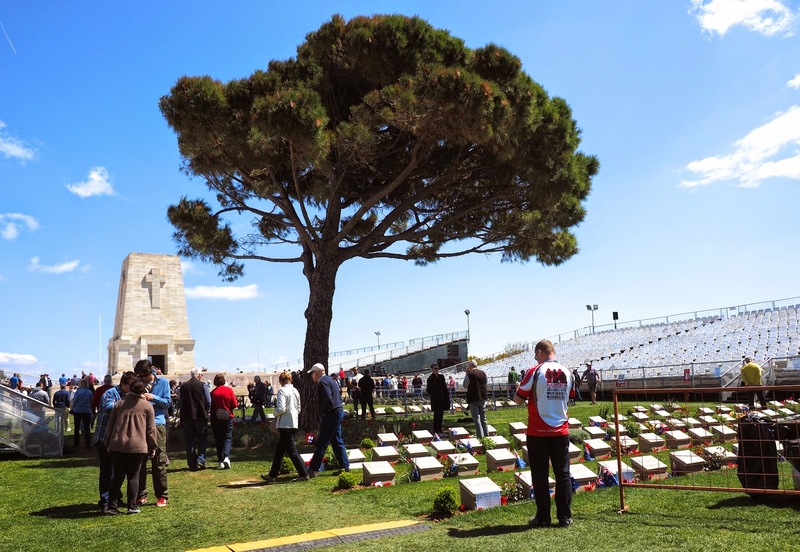 Up at Lone Pine there is a pine, but not the original one, and the seating surrounded the memorial there above the long panels of names, some of them New Zealanders. 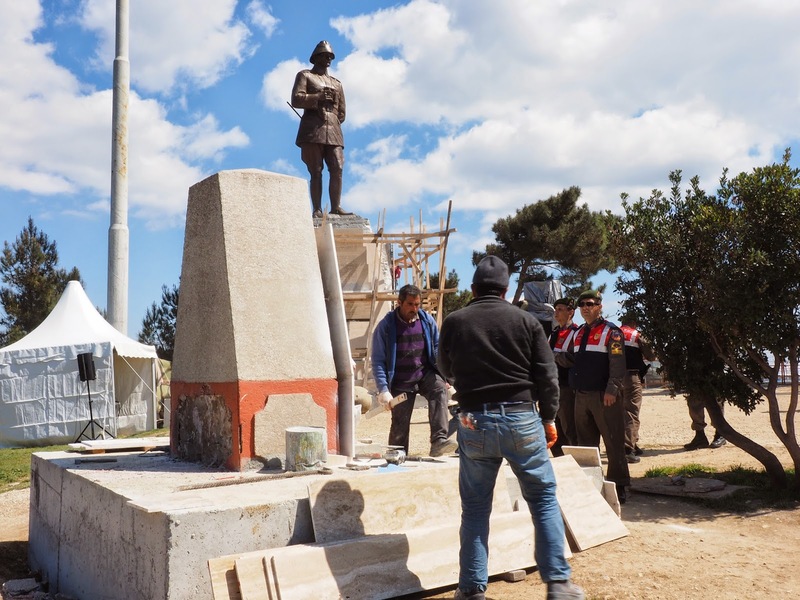 Our memorial is further up the hill at Chunuk Bair where the Ataturk statue was covered in wooden scaffolding as workmen scrambled to renovate it, as well as replace marble panelling on another monument, and swill down the base of the main New Zealand monument - kind of amusing, but I hope they manage to get it all finished by Friday afternoon. Crossing the Dardanelles on a ferry crowded with Anzacs of all ages - what a novelty, to be in a foreign place surrounded by masses of other tourists and none of them American - we paid a visit to Troy. The tumble of stones, columns and bricks of the Temple of Athena dating back to 3000BC seemed to make less of an impression than the wooden Trojan horse at the entrance that was built a few years ago - but it had been a long day. We ended it at our hotel by the beach where poppies grow in the pebbles, tired but cheerful, and looking forward to the big day.